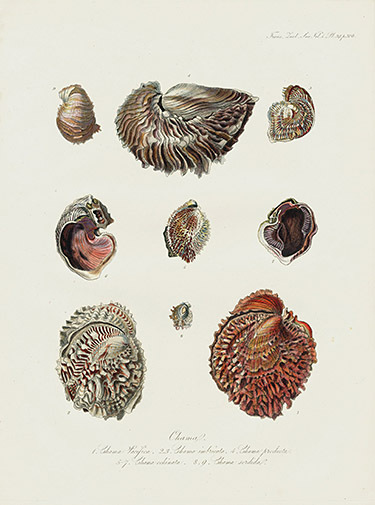 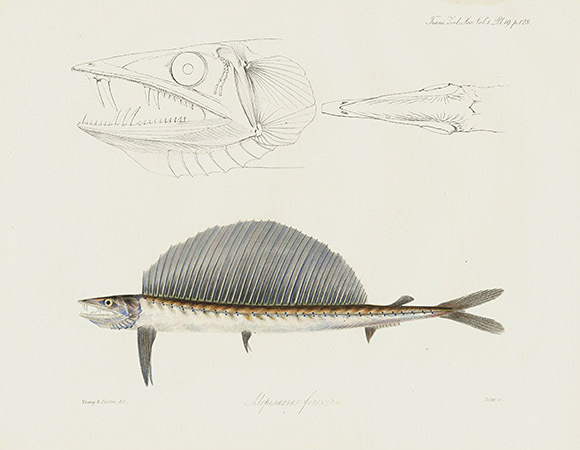 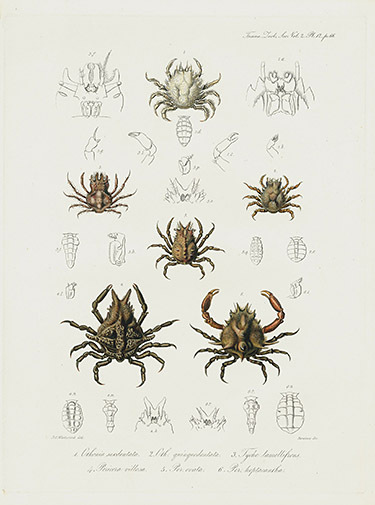 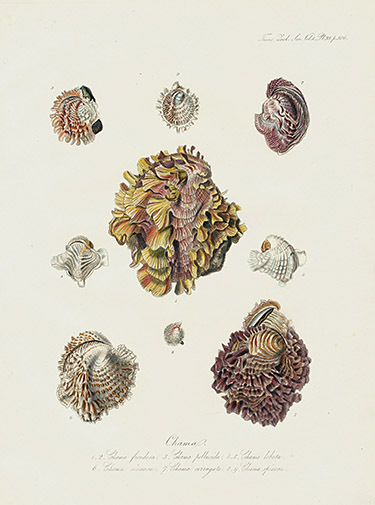 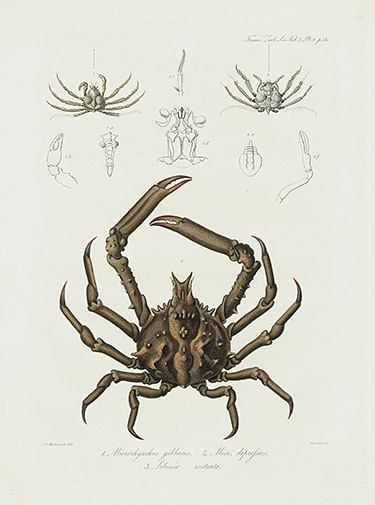 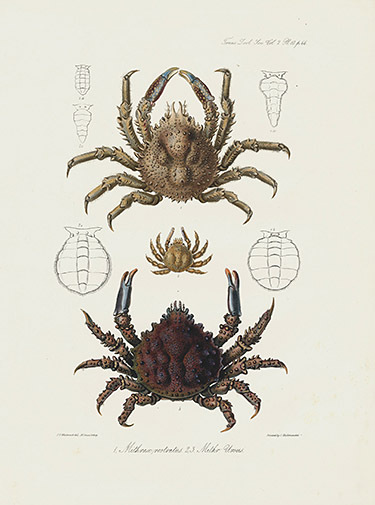 We are delighted to offer this diverse selection of original hand colored engravings from the first and second volumes of the Zoological society of London. 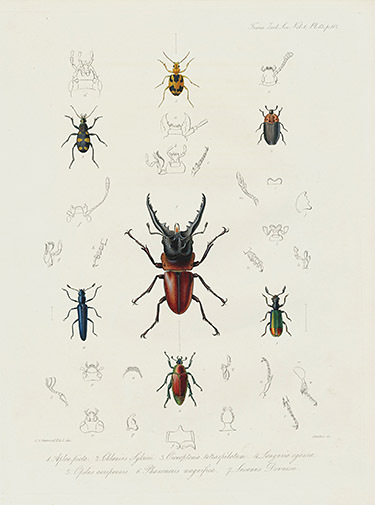 This organizations still exists today as a charity which supports science and conservation projects and two of the finest zoos in England, London Zoo & Whipsnade Zoo. 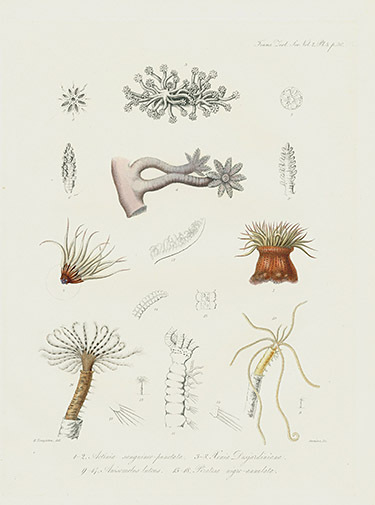 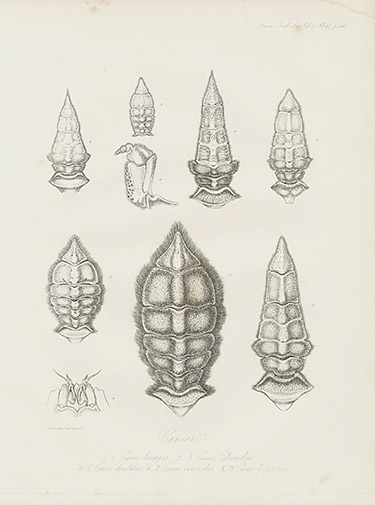 The prints shown date from the early years of the organization, when new discoveries were still being made & news of them published in these beautiful illustrations. 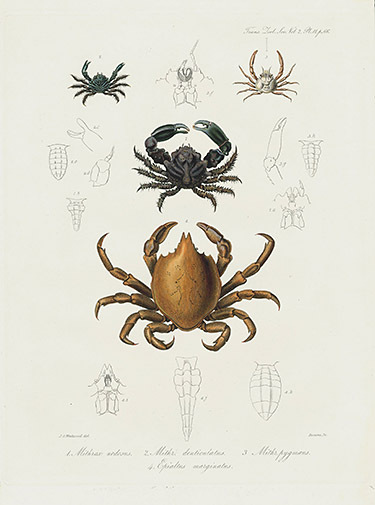 Each print is in excellent condition, with a few fox marks as shown in the images, on heavy wove paper of a creamy color, some with very slight offset. 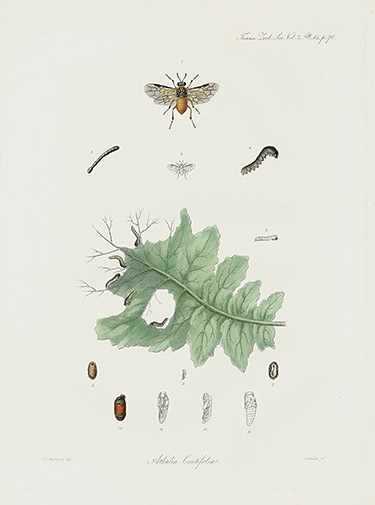 The luminaries of the day contributed heavily to the work, including Edward Lear and John & Elizabeth Gould. 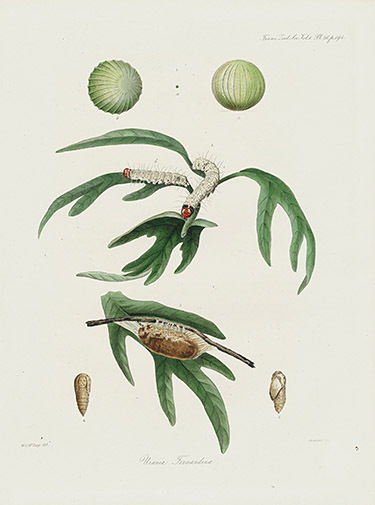 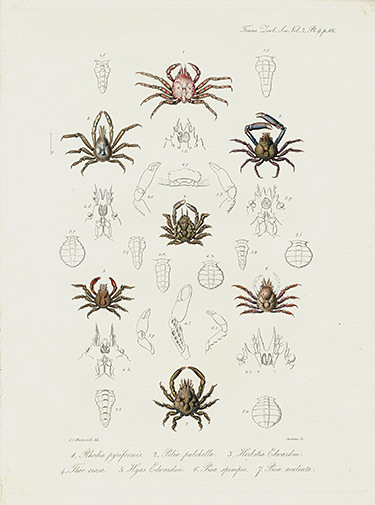 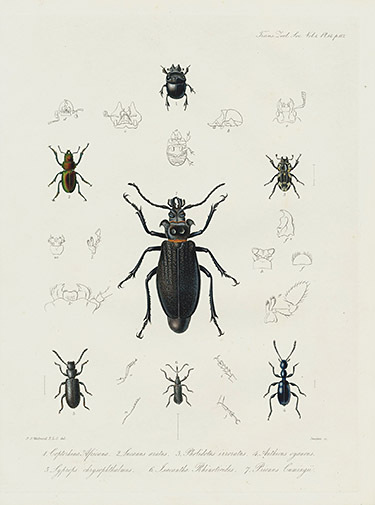 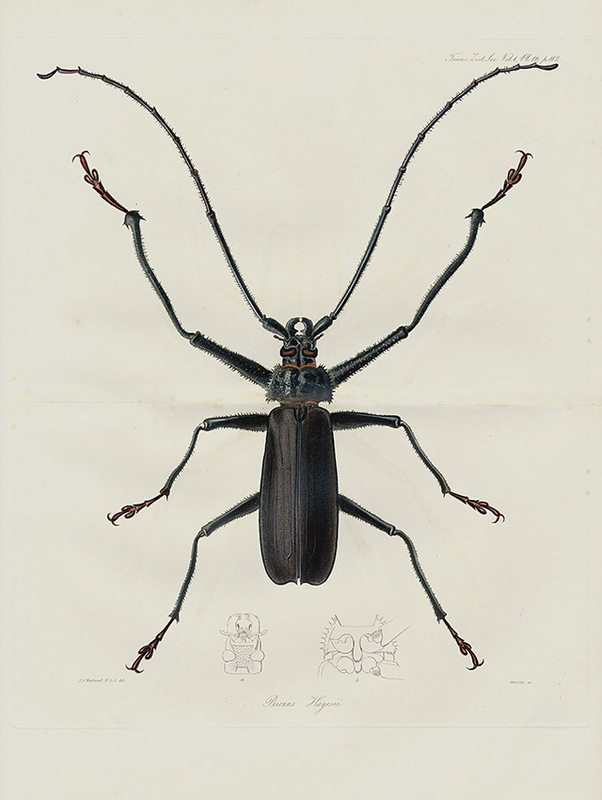 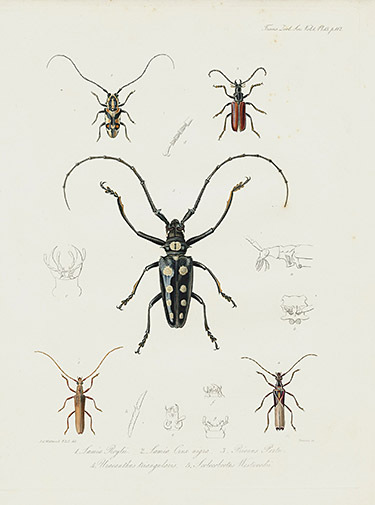 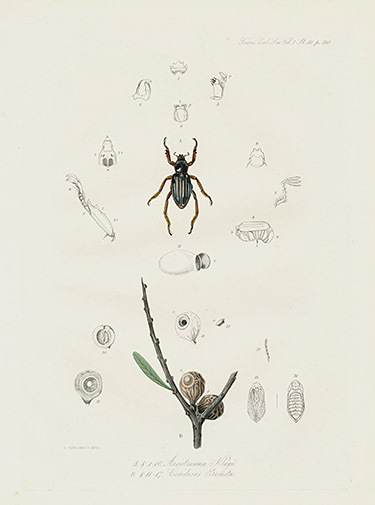 Please note, these are not the smaller lithographs often found, but the larger size engraving, measuring approximately 12 inches by 9 ½ inches, with one double page insect print at 16 inches by 12 inches.